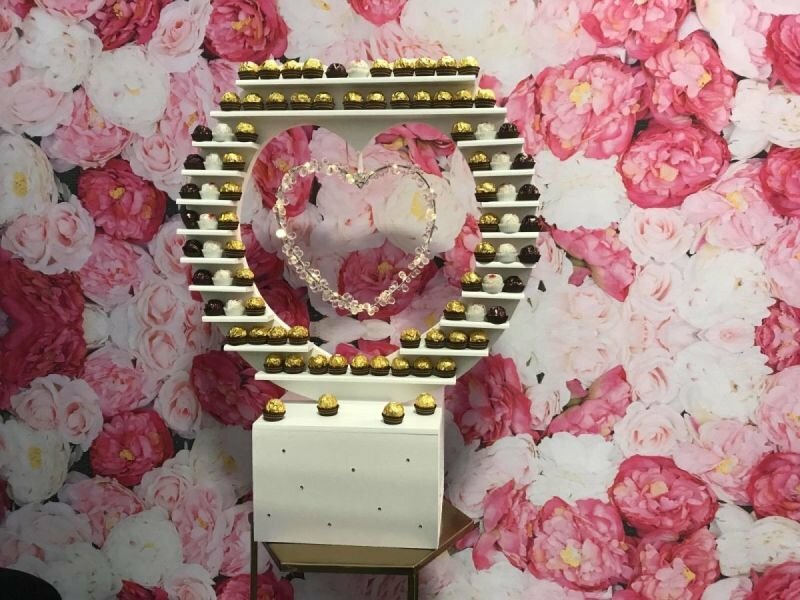 Eye Catching and unique, this can be used as a sweet treat for your guests or place a seating plan behind this giant Ferror Rocher Love Heart. 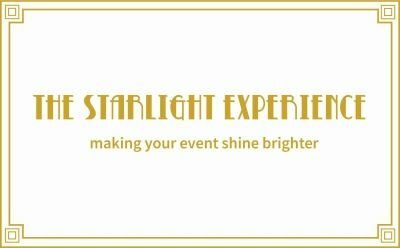 Your guests can find their seat and take a treat. 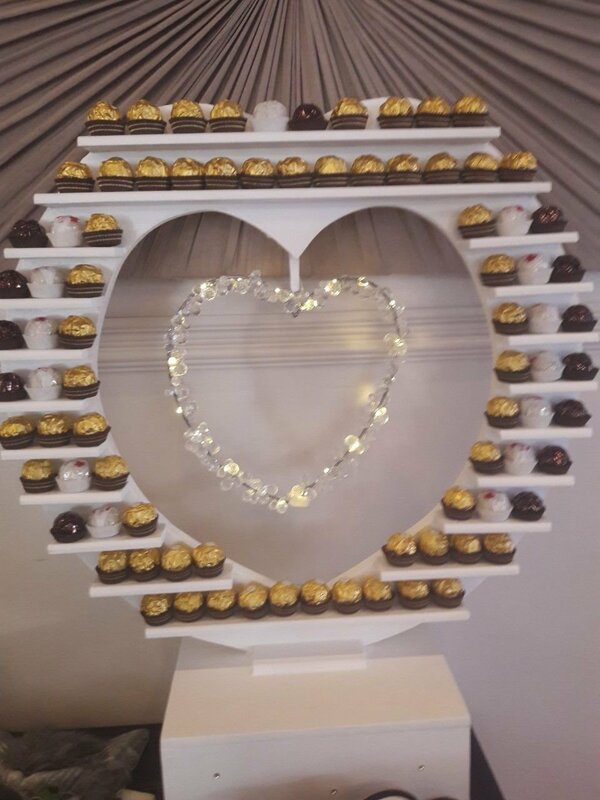 Our 3ft Love Heart can be stocked full of luxury Ferrero Rocher and Lindt chocolate. What's not to love - an edible seating plan!!?? ?